Moving a lot of assets from one brokerage to another can be a hassle. A brokerage firm that I started investing with as a teenager, and eventually opened a Roth IRA with during college, kept getting acquired by bigger companies, changing its name and features, but never really expanded and improved its offerings in line with what the best competitors were doing. S0, a few months ago as part of a financial account consolidation to simplify, I decided to transfer all my assets from that brokerage firm to another one. But I was informed that I had to start the process all over because I didn’t have a medallion signature guarantee. I’m usually pretty good with the details on forms, and I remembered seeing a spot near my signature for a medallion signature guarantee, but I had assumed that because my stocks were held in street name by my brokerage, it didn’t apply to me. So, I went and researched it in more depth, and this guide covers what exactly a medallion signature guarantee is and how to get one. A medallion signature guarantee, with the unfortunate acronym MSG, is a special stamp and signature combo that certain financial institutions can give to verify your identity for the transfer of securities. Starting in the 1990s, due to the increasing prevalence of identity theft and fraud, the security measures used for these stamps increased. They now contain a barcode, and have an invisible security compound in the ink that can be read by special “Stamp 2000 Plus” scanners used by transfer agents. The stamp and signature by the financial institution is a guarantee that your personal signature is valid, that you are who you say you are, that you legally own the assets you’re trying to transfer, and generally that the financial institution will accept liability in the case of forgery. That last point is what makes it different than a simple notarization from a notary, although it’s often confused with one. Especially because many banks have notaries, and their stamp isn’t the one you’re looking for here. A medallion signature guarantee is not the same thing as notarization and is not interchangeable with the services a notary can provide. A notary stamp verifies the identity of someone signing various types of legal documents, and is performed by a legally recognized public notary. A medallion signature guarantee, on the other hand, is performed by a bank officer on behalf of a bank or other financial institution, usually for transferring securities, and is backed up by that firm’s assets. By putting their stamp down, they are verifying that not only are you who you say you are, but that they’re sure enough to put their own money on the line. A notary stamp cannot be used in place of a medallion signature guarantee; the securities transfer agent wants to see all those big beefy bank assets backing you up, which a public notary can’t provide. Before transferring assets, check with the institutions involved whether you need one. If your assets are held in “street name”, meaning they are in your brokerage firm’s name on your behalf, you might not need one. A lot of stocks these days are held entirely in street name. But even if that’s the case, they might still require one if there’s a large value of assets being moved. My assets were held in the name of my brokerage firm, and yet I was still required to get an MSG for the transfer. Banks, credit unions, broker dealers, and other financial firms that are members of a medallion program can provide one. A bank officer stamps it on your transfer form near your signature, and signs his or her own name over the stamp. According to the US Securities And Exchange Commission, there are three medallion signature guarantee programs that financial institutions can participate in. Securities Transfer Agents Medallion Program (STAMP): A collection of over 7,000 financial institutions from the United States and Canada, who clearly are creative with their acronyms. Stock Exchange Medallion Program (SEMP): A bunch of clearing and trust companies and regional stock exchange member firms, who unfortunately aren’t quite as clever when it comes to making acronyms. New York Stock Exchange Medallion Signature Program (MSP): A collection of NYSE member firms, who didn’t even try to make a nice, pronounceable acronym. Usually, to get a medallion signature guarantee from any of these participating institutions, you need to be an account holder with them for at least a couple months. Most of them won’t give a medallion signature guarantee to anyone just walking in from the street, regardless of how much documentation you provide, because there’s too much liability for them to risk it. That’s what makes getting one tricky for some people, and can cause a significant delay if you’re not prepared. If the financial institutions that you are a member of don’t offer medallion signature guarantees, you can find yourself kind of screwed. If you’re just starting to invest money with a clean slate, I really recommend putting thought into the brokerage firm that you ultimately select. Ideally, pick a leading one that is likely to be around for a long time, and highly competitive, to minimize the chances that you’ll want to switch away from them in the future. Check out my resources page for brokerage recommendations. Fortunately, my bank is a member of one of the lovely medallion programs and gave me a medallion stamp for no charge. It took about 10 minutes, and the bank rep had to call over the branch manager to do it. So, check with your primary bank or credit union. There’s a good possibility that they offer one, but it’s not always the case. 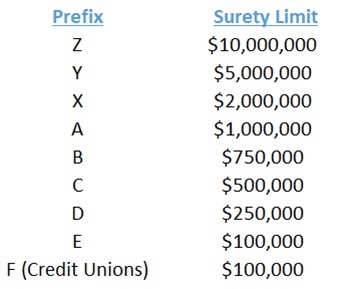 Small institutions, like credit unions, often have fairly low surety limits for guarantees, at only $100,000 per transaction. Next, if that doesn’t work out, check with the banks that you have credit card accounts with. If they have local branches, see if they will do one for you. In addition, if the brokerage you are transferring your assets to or from has physical offices near you, contact them and see if they’ll do the stamp. As a last resort, you may need to open a new bank account with a bank that offers MSGs, let it season for a couple months to meet their minimum time limit, and then go ahead and have them stamp your transfer forms. If this is the case, confirm with them ahead of time that they do indeed offer medallion signature guarantees, and that they offer them up to a value limit that will accommodate your account transfer. Only a bank officer can provide a medallion signature guarantee, like a branch manager or loan officer, so you should call ahead to ensure that someone at the branch you’re going to is ready to perform the stamp. If your account is six figures or higher, you’ll also want to ask what maximum value of assets they can guarantee, because each officer has a different surety limit that they’re allowed to stamp and sign for. In addition, check with them regarding what forms they’ll require to verify your identity and to ensure that you own the assets. For me, my driver’s license, together with my longstanding history as an accountholder at that institution, was enough to verify my identity. Your bank may require something more specific, which is why it’s useful to ask ahead of time. To prove that the assets were mine, I printed out a statement from my Roth IRA online account, which showed my name and assets, and it matched what the transfer form said I was transferring. But again, you’ll want to check with your bank for what they consider acceptable proof. Lastly, if you’ve changed your name to something that differs from what your account says, or if you’re legally transferring the assets on behalf of someone else, you’ll need to bring the paperwork that shows it’s all legit. Getting a medallion signature guarantee outside of the United States can be quite hard. I partnered with IWC Estate Planning and Management Ltd to offer readers a discount on medallion signature guarantees. *Mention the promotional code at time of inquiry. If this article was helpful to you, join my free investing newsletter that comes out every 6 weeks or so. It gives investors updates on macroeconomic conditions, asset allocation recommendations, stock ideas, changes to my personal portfolio, and more. 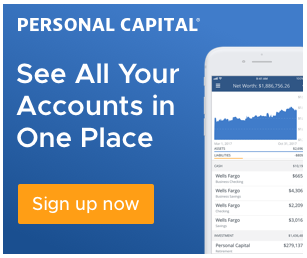 I personally recommend Personal Capital as a free app to monitor and grow your net worth, improve your budgeting, plan for retirement, and scan your investments for hidden fees, and I use it myself. See why here.